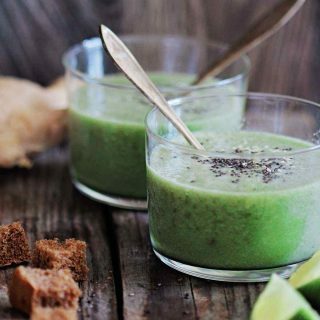 This rich, velvety avocado detox soup is the perfect choice for a light lunch that will nourish your body with powerful nutrients. Healthy fats, antioxidants and fiber are essential during a detox diet, and avocado contains loads of these. Healthy fats stimulate bile release, help your body flush out toxins and aid absorption of key vitamins. Buckwheat bread is energizing and nutritious, containing both minerals and fiber. 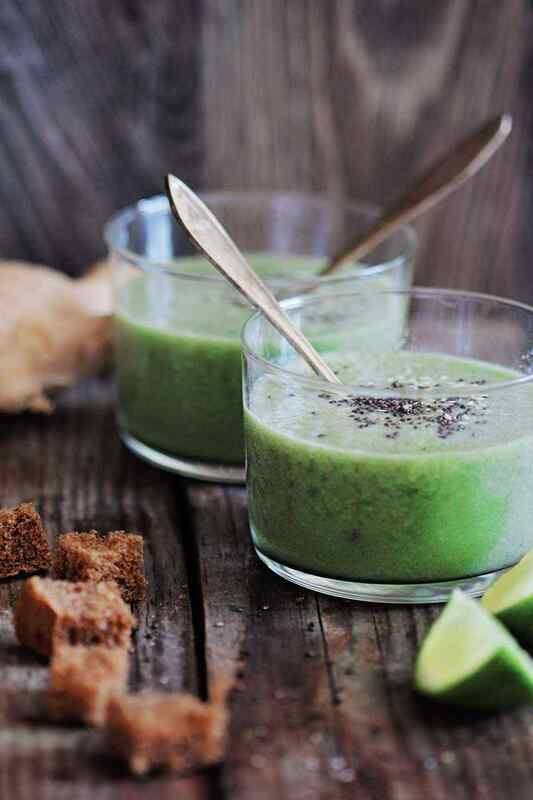 Ginger and fennel enrich this detox soup with vitamins, minerals, and anti-inflammatory compounds and give it a special zing. Add all the soup ingredients in a blender and process to obtain a smooth cream soup. If necessary add more purified water to obtain the desired consistency. Pour evenly into serving glasses or bowls and serve along with buckwheat croutons.